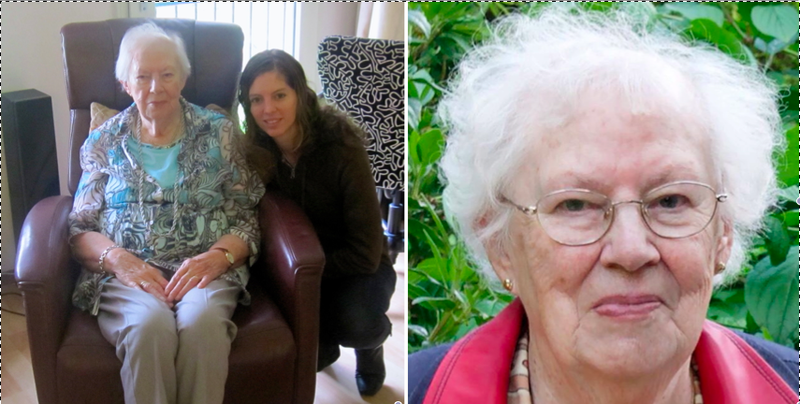 My grandmother (oma) passed away last week and yesterday we laid her body to rest. The funeral was a special time in which we remembered her time here on earth and said our final goodbyes. Oma was a great grandmother. She was both caring and showed a lot of concern; sometimes maybe a little too much of the latter as she was very cautious and wanted us to be too :) . However, Oma was very much involved in our lives, even though we were often many miles away. She stayed up to date on our latest news, she used to email and send us cards and she kept track of my blog. Even until recently she still had people read to her from my blog. She enjoyed seeing us and always looked forward to phone calls and visits. She loved us and she was proud of each one of us. As a child I have great memories of my grandparents even though we were not able to see them often due to us living abroad. I remember sleepovers at their house, going to the petting zoo, picking berries, playing with lots of toys up in their attic, sled riding, story telling, yummy food, and more. One of my favorite most recent memories is the times that I would pray with oma during my visits with her before heading back to Africa. It was a time in which we prayed for each other for encouragement and strength. My grandma had a great faith in God. After my grandfather passed away in October 2010 my grandmother was quite lonely. In most recent years/months, her health started deteriorating and her eye sight especially got worse to the point that she was totally blind for the last 6-9 months she was alive. This isolated her even more. When I saw my grandmother in January, she told me that she was ready to be with Jesus. And she was ready. I can now celebrate with her that she is with her Savior. I like to imagine that oma is in heaven with my opa and that she can see again. It is well with her soul. I love you oma. Goodbye for now, but I will see you again someday.